Product prices and availability are accurate as of 2019-04-17 14:40:31 EDT and are subject to change. Any price and availability information displayed on http://www.amazon.com/ at the time of purchase will apply to the purchase of this product. Jettison the jams. 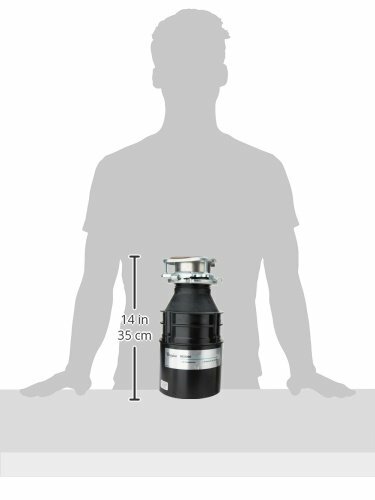 WHIRLPOOL garbage disposers are just another example of better performing technology. Our continuous-feed operation means no more jamming, no more waiting. Food is reduced to fine cuttings and whisked down the drain without the need to pause and check for clogging. Reduces food to fine cuttings doesn't clog or jam ABS grind chamber galvanized steel grinding wheel & shredder ring stainless steel swivel impellers overload protector with manual reset plug and cord accessory included 1-year limited warranty.